It's in Coachella Valley, close to the festival. At the Coachella Valley History Museum. 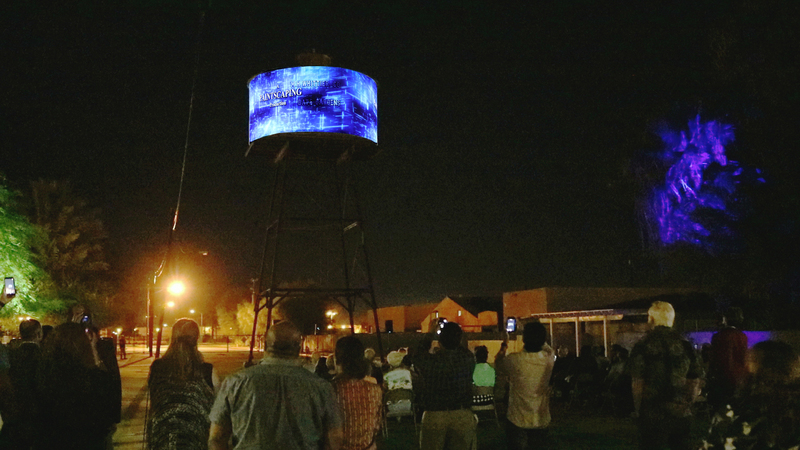 3 projectors on a water tower.